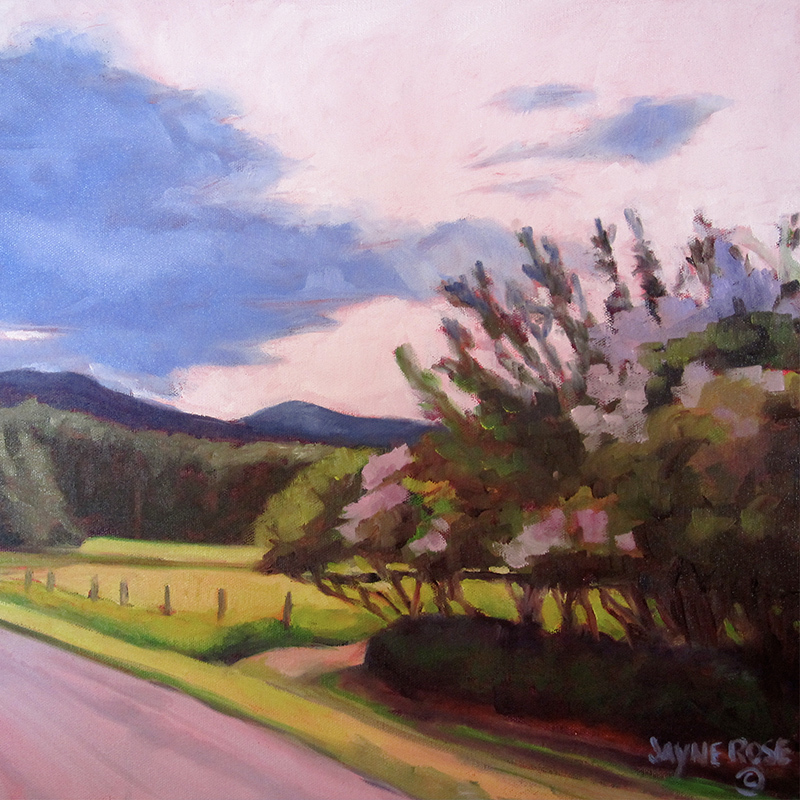 In 2000, Jayne went back to her first love, oil and acrylic painting. While pursuing her reconnection with her art, she worked for a graphics/website design firm while volunteering for several art groups. 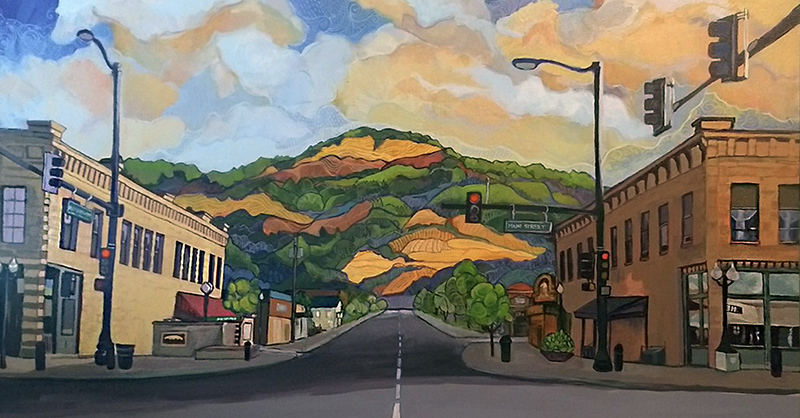 After a change in marital status, Jayne decided to make a new start and move to the Black Hills in 2010 where she was juried in as a gallery artist at The Matthews. In January 2013, Jayne also became marketing manager of The Matthews, where her graphic design and web work have been put to use. In 2018, Jayne moved to Chicago while continuing to work remotely for The Matthews. The new chapter of her painting will be reflected in her work. My subjects are largely representational (with leanings towards impressionism) based on observations of my surroundings, in landscapes, floral and human studies. I paint in saturated color with a heavy emphasis on light, color, and shadows. My camera and I are on the constant prowl for early morning or late afternoon shadows. The lush floral I create in both still life and landscapes come from my own gardens and those who live around me. Living in the Midwest gives me plenty of subjects, from rural to city scenes. The quest to understand the nuances of nature inspires me to keep searching and growing in this craft. I now use acrylics and other mixed media in order to expand on the creative process. Painting quickly has been a trademark of mine and using other mediums had broadened my horizons. My vision will continue to change as my life and the lives around me change. This entry was posted	on Monday, June 18th, 2018 at 3:56 pm	and is filed under Art Gallery, Gallery Artists, News & Blog. You can follow any responses to this entry through the RSS 2.0 feed. Both comments and pings are currently closed.